VPN services were once restricted to the ultra tech-savvy or big businesses. These days, setting up a VPN is often as simple as installing an app on your phone or computer and clicking a couple buttons. It's never been easier to protect the information you send from your PC, phone, tablet, or virtually any device you can connect to the Internet. But a quick search for VPN providers might yield thousands of options... How do you know where to start? While there isn't one service perfect for everyone, these top picks should help you find the best VPN service in 2018 based on your budget, how you plan to use your VPN, and what features you prefer. NordVPN hits the sweet spot on both features and ease of use. If you want a simple setup, their app will have you connected in a few clicks. But they also support OpenVPN for customizing settings to your liking. With more than 4800 servers in 62 countries around the world, you have plenty of choices. P2P servers allow file sharing traffic while still offering great download speeds. What really makes NordVPN shine is the extra features. Their kill switch can be device-wide or bound to specific apps, allowing flexibility in how you keep critical data secure. There's also Tor over VPN and Double VPN servers for added security. Lastly, with a zero log policy, you can trust your information remains private at all times. With apps for Mac, PC, iOS, and Android plus browser extensions for Chrome and Firefox -- you can keep any device secure. Support for up to 6 connections on a single account allows you to switch between devices seamlessly without worry. While they're not the cheapest option on the market, NordVPN backs up their price with responsive service and ample features. But if you sign up for a 1- to 3-year term range, you'll save a serious sum. Reviewers love the ease of use of NordVPN and the massive selection of servers and fine-tuned options within the desktop and mobile application. PCWorld writes, "NordVPN is a well-performing VPN with a great user interface, a good amount of respect for privacy and anonymity, and the advantage of accessing U.S. Netflix overseas." 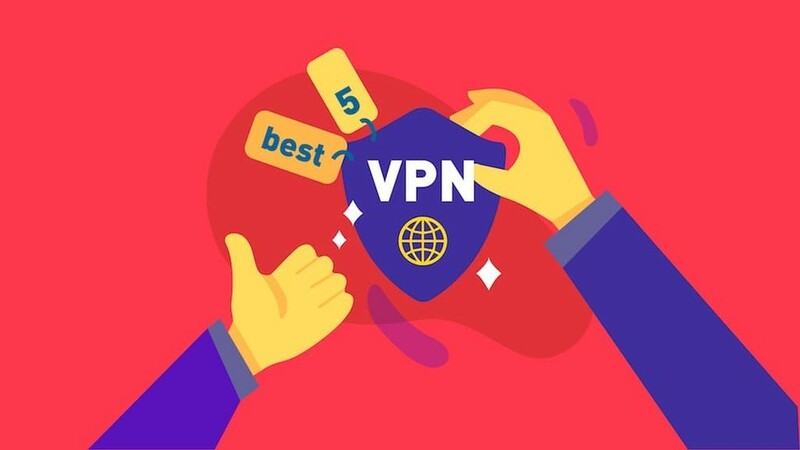 PC Magazine awarded NordVPN their first place and Editors' Choice titles in their " The Best VPN Services of 2018 " roundup, saying, "NordVPN wraps a slick client around a strong collection of features and a huge network of servers for securing your online activities. Earning a rare 5-star rating, it's our top pick for VPNs." Whether you're a power user or new to VPNs, NordVPN offers features to help you get the most from your VPN service at a great value if you choose a longer-term subscription. If you're looking for VPN protection at a rock-bottom price, VPN Unlimited offers good value. It's not the fastest pick in our recommendations, but the feature set on offer is solid. You'll enjoy an easy-to-use app, mobile apps, around-the-clock chat and email support, and access to more than 400 servers in 70+ locations. The ability to connect with up to 5 devices at a time also makes it easy to hop between your phone, computer, or tablet without worry. Despite P2P connections being limited to select servers, many reviews noted slower transfers in the 30 to 50Mbit/sec range. Still, this is plenty fast for media streaming and other common uses. One unique point to VPN Unlimited is their KeepSolid Wise service. This cloaks that you're using a VPN providing an added level of security in areas where VPNs might be frowned upon. However, the company is based in New York. So if you're worried about the security concerns of a US-based VPN, you'll want to look elsewhere. Reviewers loved the lifetime pass options and basic features offered by KeepSolid VPN Unlimited. While it's not the most comprehensive offering on the list, the price is lower than many and their reputation is solid. TechRadar notes, "KeepSolid offers great performance for a low price, and clients that run on almost everything... if your needs are simple -- unblocking websites, say -- it could still be a good choice." PC Magazine awarded VPN Unlimited the "Best for Frequent Travelers" title in their " The Best VPNs of 2018 " roundup. They note, "KeepSolid VPN Unlimited offers a strong slate of security and privacy features, plus the most flexible pricing plans in the industry." Affordable pricing and solid features combine to make VPN Unlimited an ideal pick for budget-friendly VPN service -- as long as you don't mind the US company affiliation. Offering 500MB of free usage a month and a simple app interface, TunnelBear is an excellent option for those looking for a free VPN for light use or casual users. Support for up to 5 devices at a time makes it easy to switch between devices but makes the 500MB limit feel that much smaller. Their server selection is small but solid. Reviewers noticed little slow down when browsing the web. The built-in kill switch also helps to ensure you're always encrypted. While the GhostBear protocol helps circumvent VPN blockers. Their zero log policy means you can trust your personal information to remain private. For added privacy, you can also pay with bitcoin. However, P2P is not allowed and the service currently doesn't work with Netflix. Reviewers loved the easy-to-use application and the quirky branding of this VPN. Not to mention the free price tier. VPN Mentor said, "If you’re a beginner or not ready to pay for a monthly or yearly commitment just yet, TunnelBear is a good option, as it is very easy to use and offers a free package. Other than the few glitches we faced with the application (see below), the quality of the service is decent." 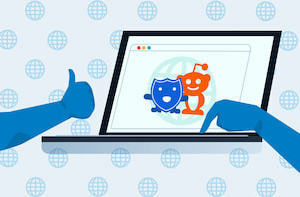 Best VPN declared, "... we would recommend this provider to all of our active readers and VPN enthusiasts. This service is only going to get better, so it’s better to hop the bandwagon now and enjoy a seamless, powerful and fantastically secure internet browsing experience." 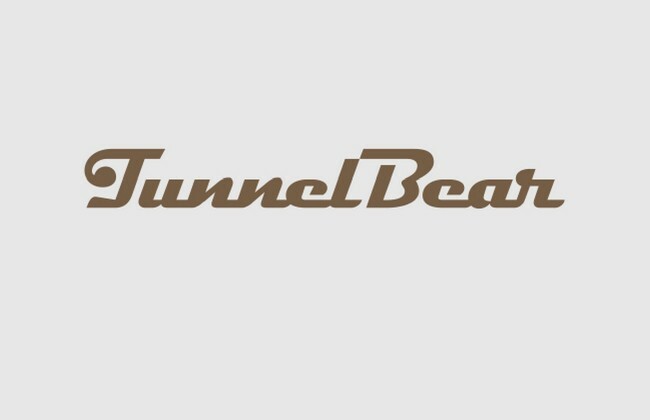 PC Magazine awarded TunnelBear an Editors' Choice award, a second-place ranking, and the best for first-time users title in their " Best VPN Services of 2018 " roundup. They said, "TunnelBear's VPN is a rare security product that doesn't force you to compromise between security and usability. It's friendly when you need it to be, invisible when you don't, and it doesn't skimp on security." TunnelBear's free tier is one of the fastest reliable VPN options around. However, their easy-to-use app and affordable pricing also make them a great pick for casual use. Featuring more than 3400 servers across 33 countries, Private Internet Access has one of the larger server selections on this list. Add in a zero log policy, support for a wide range of protocols, and kill switch protection and you get a flexible, feature-rich VPN that's a great fit for most. They allow P2P on select servers and work with most video streaming services. You can connect with up to 5 devices at once to make hopping between your laptop, phone, or tablet simple. One of the unique features of Private Internet Access is the ability to pay using prepaid gift cards from other companies. This provides an anonymous payment method for those that don't want to deal with cryptocurrencies such as bitcoin. However, the service is based in the US -- a factor that might impact privacy according to some security experts. Reviewers loved the emphasis on privacy offered by Private Internet Access -- including kill switch features, IPv6 blocks, DNS leak prevention, and no logging. However, some questioned the effectiveness due to the business' US ties. Torrent Freak notes, "Private Internet Access is a VPN that suits the needs of most users, from tech illiterates to those who prefer to tweak the most detailed network settings." Cloudwards gives the service a thumbs up, saying, "If you're looking for a fast, no-frills VPN service, Private Internet Access deserves your attention. It does what it needs to, no questions asked, though we do wish PIA had a little less trouble getting into Netflix and other streaming services." Private Internet Access was also awarded an Editors' Choice award and the title of Best for Power Users by PC Magazine in their " Best VPNs Services of 2018 " roundup. They note, "Private Internet Access offers a robust, full-featured service, at an unbeatable price. Its tremendous value offsets its rudimentary UI, making it an Editors' Choice for VPNs." Combining an extensive network, multiple connections, and innovative payment methods, Private Internet Access is one of the most well-rounded options available that accepts anonymous payment methods. Created by the same group behind ProtonMail -- a popular secure email service -- ProtonVPN offers a solid list of services and a wealth of privacy-centric features at a fair price. In fact, if you don't mind the throttled speeds, you can use ProtonVPN for free. At 8Mbits/second, it's still faster than many of the free, unlimited VPN services available. While the server selection is smaller than many competitors, ProtonVPN owns the entire network they operate. This means you don't have to worry about the security of individual data centers or other parts of the transfer network. As a zero log company, you can also count on your private account information and browsing habits or file transfers remaining secure. Upgrading to one of the paid tiers of the service adds a few features, including high-speed transfers, Tor on VPN, and using multiple devices on a single account. Reviewers loved the unlimited free option and found the speeds acceptable for basic usage or even 480p video streaming. The attention to privacy also impressed most. From their Swiss base location and zero log policy to their compatibility with cryptocurrency and only requiring an email address to sign up, it's one of the most flexible, transparent options around. Doesn't hurt it's free. TechRadar states, "It only gives you three locations, but decent speeds and unlimited bandwidth mean ProtonVPN Free gets a thumbs-up from us." Tom's Guide compared the service to other free VPN service providers and declared, "ProtonVPN's free tier is certainly an affordable way to secure your online world, as long as you live close to one of its server locations and don't expect superfast speeds. Of all the free VPN services we've reviewed, it comes the closest to a full-fledged paid unlimited service." With a well-known reputation in the private email sector, ProtonVPN offers reliable, free VPN service with a few limitations. Offering a compelling blend of features, affordable pricing at longer terms, and an easy-to-use client on just about any platform imaginable, NordVPN takes our Editors' Choice for the Best VPN Service of 2018. It offers one of the most comprehensive server lists in our round-up, plays nice with streaming services, allows you to use your connection as you please, gives loads of extra options for tightening security, and has excellent customer support through their website. If you're not a heavy Internet user -- or you're just looking for something to use occasionally on public Wi-Fi or while traveling -- TunnelBear and ProtonVPN also offer high-quality free options with different approaches. The picks in this roundup are what we think are the top VPN providers in 2018 for most people. A VPN only helps protect your information if you can use it. We chose a range of options that provide simple interfaces ideal for novices and power users alike. We also picked apps compatible with most common operating systems -- both mobile and PC related -- to ensure that anyone could use them regardless of their hardware or software preferences. If your Internet slows to a crawl the moment you connect to your VPN, you probably won't use all the time. We wanted to provide options that will keep your Internet running near the fastest speeds available from your Internet service provider. This means good video quality while streaming, snappy downloads, and smooth browsing -- all while keeping your private information... well... private. While VPN services aren't exactly new, they are far from cutting-edge in most cases. This means you should be able to find an option that doesn't cost an arm and a leg. All of our picks offer great value and are known for their competitive pricing and features. The best place to find out about how a service works is from the people using it every day. If there's a problem, reviewers will usually let you know in a hurry. All of our picks feature a range of reviews across multiple sites to ensure that information is as accurate as possible. If your VPN is keeping information away from prying eyes only to sell it to paying ones or leaving you open to liabilities and surveillance, it's not doing you much good. Every pick in our round-up offers tools to ensure your VPN is running properly and are committed to protecting the private data of their subscribers. We compared the things most people consider when choosing a VPN service to keep their browsing private. In short, we did the research -- so you don’t have to . So, does using a VPN make me invisible? A VPN will keep your Internet service provider or anyone else snooping on your traffic from seeing both what your traffic contains and where it's heading to and coming from. But it doesn't hide that you're using the Internet, how much bandwidth you're using, or that you're using a VPN. It doesn't make you invisible, it just makes your connection secure. What's the big deal about logs? The whole point of a VPN is to obscure where you're connecting and what you're doing. If your VPN provider keeps logs of this information, they could sell it to other parties or be open to questioning from government bodies. Depending on your government and what you're doing online, the chances of this are rather slim. But then, if you're paying to keep your information secure, fewer logs makes far more sense. Do VPNs allow me to use peer-to-peer networks or BitTorrent safely? This depends on the provider and what you're downloading. Piracy is piracy... it's illegal and risky no matter how you do it. But a VPN adds a level of anonymity to the process. That's assuming the VPN provider supports torrenting and other file sharing protocols. It doesn't change the legality of downloading copyrighted content. However, it allows you to cloak your IP address and remain reasonably hidden from other file-sharing users. Can I use VPNs to stream video from services in other countries? While it's likely against the terms of service for most streaming services, VPNs often allow you to stream content from sites in other countries. Examples include streaming US Netflix content in the UK or streaming BBC iPlayer in the US. Support will depend on the provider and may change. Most streaming services are constantly updating their services to prevent VPNs from accessing their content. Sometimes, using a VPN that doesn't support video streaming may even result in not being able to access content even if you're within the same country as the streaming service. If you have questions, be sure to check the forums or chat into support for the VPN provider to get confirmation it will work with your intended service before signing up. As we transmit data about more of our daily interactions, financial dealings, and private information, investing in a VPN service seems a smart way to ensure that your data stays safe and hidden from prying eyes. While we feel our picks offer a great experience to a wide range of people, there's not a single pick that will be perfect for everyone. Fortunately, most of our picks offer either free pricing tiers or free trials. So trying a few to see what suits your needs simply requires a little time. We'd recommend trying each service out for at least a day or two. Don't rely on a single server or connection to gauge what to expect. While our picks are of high quality, every service has servers that perform better than others. Explore a little to know how they might vary. We offer additional considerations and explanations of common VPN-related terms in our Buyer's Guide as well at the bottom of our VPN listing page . You can also use the VPN comparison tools on the page to limit options by features, price, and more if you'd like to explore options not in this roundup.